Guidance for the optimal nutrition that your body needs, therapeutic diets crafted with your care in mind, providing creative solutions and sustainability within that process. Individualized formulating of herbal tinctures, flower essences and teas for physical, mental and emotional support. MMJ authorizations. One of the most holistic and personalized medicinal practices employed throughout the world. By looking at the uniqueness of you, homeopathy acts to support your vitality and your body's innate ability to heal. This include craniosacral therapy, visceral manipulation, myofascial release, lymphatic drainage. Using specific medicines to optimize body functions, replete nutrient deficiencies, and support the body's natural healing mechanisms. Utilizing labs and physical exam to discern what your body needs. Utilizing the healing properties that water holds. Offering many therapeutics involving water, including constitutional hydrotherapy. Stimulating vitality, facilitating healing, nature cure. Help to integrate practices of a healthy lifestyle, including movement, exercise, contemplative practices. Having a medical expert work with you towards your goals, motivation, obstacles, and leaving shame and blame at the door. Allows the individual to tell their unique story and come to a deeper understanding of what may be truly underlying their illness. Can help identify old habits, highlight new perspectives, break free of negative addictions or behaviors. This includes a combination of mindfulness-based practices, yoga, biofeedback, somatic medicine, counseling, and more. 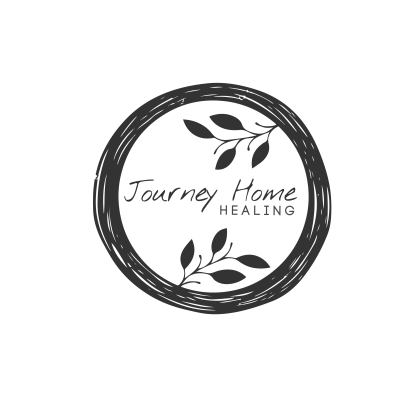 Receive holistic health care & support, while your doctor keeps your body's innate ability to heal and overcome illness, supporting you and your vitality in the process. All age groups welcome. Honoring and supporting women through all stages and rites of passage in their lives - menstruation, fertility, menopause - empowering women to reclaim their power through their bodies. support over electronic visits on the phone or in her "virtual office." as well as discounts to certain populations specified below. insurance for reimbursement for visits. Inquire with your health insurance entity to learn if they provide "out of network"
covererage for you. Every health insurance entity varies. Constitutional Hydrotherapy: You will receive specialized care with this time-old therapy, passed down through the naturopathic lineage, designed to stimulate your body's ability to heal. This service is performed by your naturopathic doctor with the ability to incorporate a personalized touch to your treatment sessions - variations depending on symptoms picture, gentle hands on therapies, herbal medicine, flower essences, guided visualization, breathing techniques, and more. Learn more. You can use your FSA & HSA accounts to pay for visits. These are forms to be filled out by ​​​​​all patients, prior to first visit. Many Thanks.